My college experience is very good. 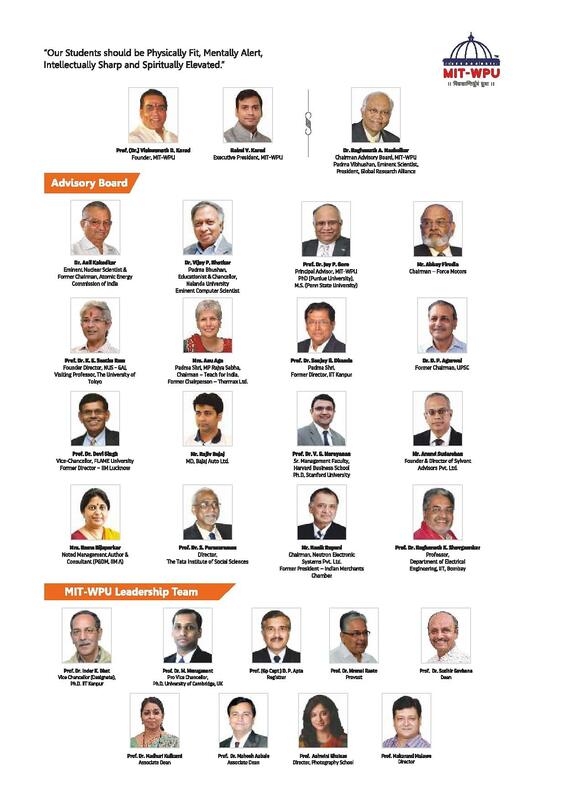 In the final verdict, I would say MIT Group has many colleges in this campus which are among top 3 colleges in Pune. MACS College certainly is among top 10. Little bit boring some amazing moments Lot's of study. Good points are every department has its own wifi network and good infrastructure. Bad points can be that as college has started BCS course in 2004 soo not given too much sports opportunity are available due too college timing but leaving that all other facilities are provided. A bit strict, as well as regular. Its a good choice if you opt for this college cause it ensures you good campus recruitment according to your talent. This college is one of the best for this course in Pune. The campus, crowd, faculty, events is just the best. 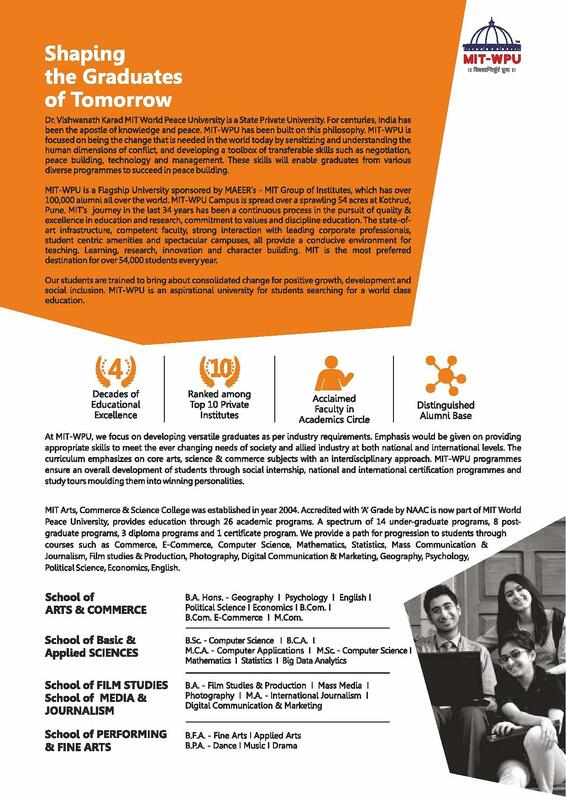 If any wants to do BSC, BCom or BA in Pune then this is college to be in. 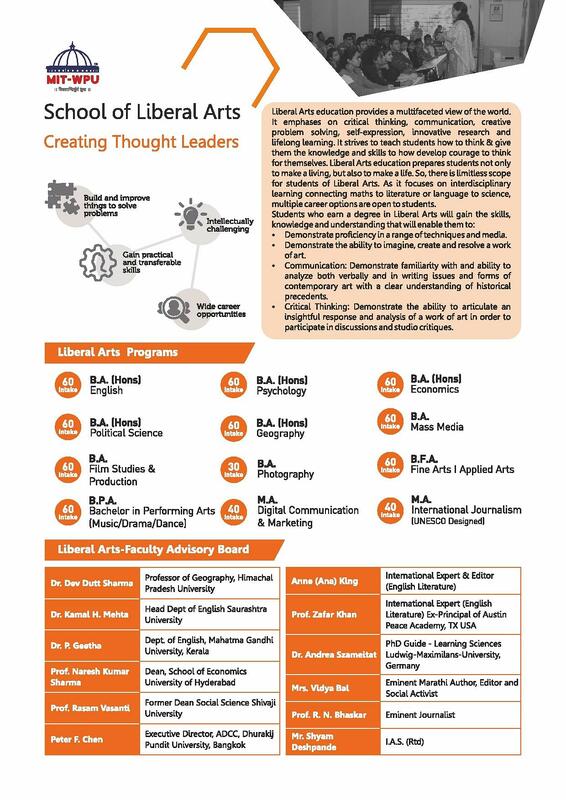 MIT-WPU Faculty of Liberal Arts, Science & Commerce, Kothrudaims at creating a hub for academic and co-curricular activities for its students. Inculcating good value based education favorable to the growth of real citizens with strong moral and work ethics comingled with professionalism favorable to the growth and development of the society so as to promote peace and harmony. 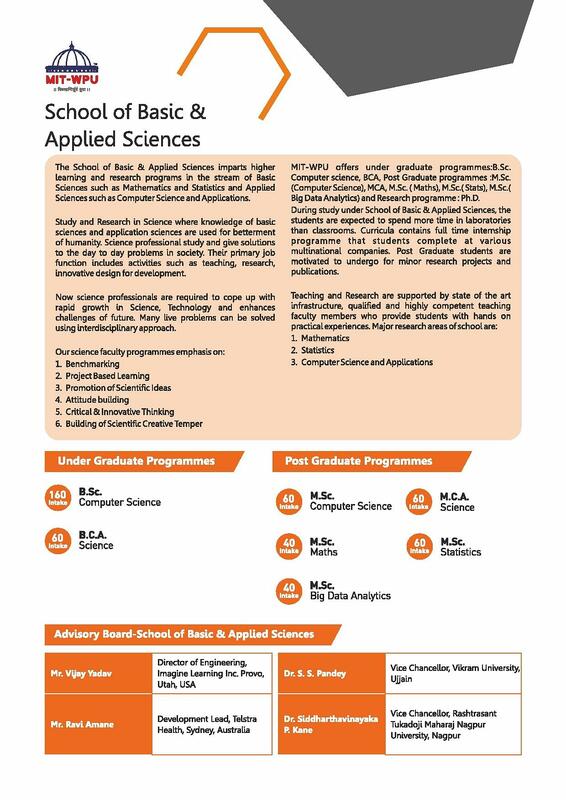 It guides its students in science, business, and technology and provides the required academic atmosphere and enhances research facilities. 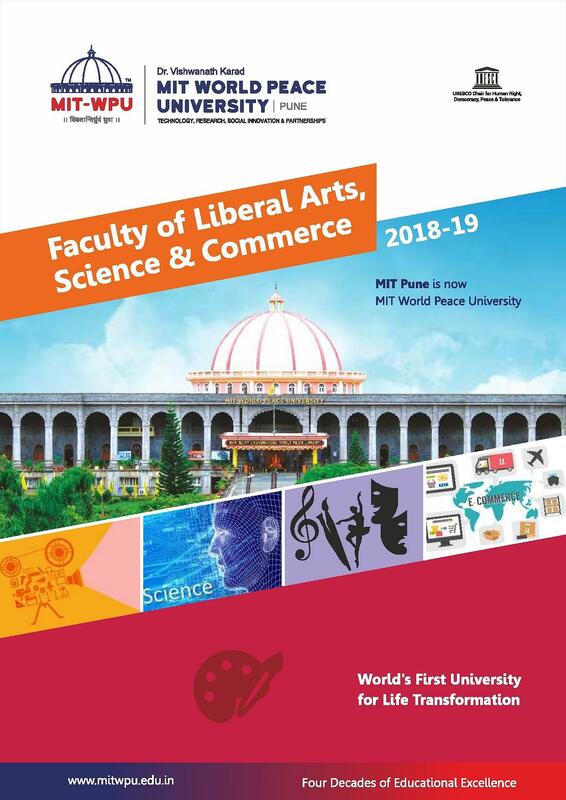 Why to Join MIT-WPU Faculty of Liberal Arts, Science & Commerce, Kothrud? Infrastructure: Spacious classrooms, playgrounds, gyms, free internet connection to surf over topics relating subjects are some of its advantages over others. Laboratories: The College has got a computer lab configured with latest operating systems, mathematics and statistics lab, electronics lab, commerce lab and a mass communication and journalism lab equipped with requisite equipments and apparatus such that each student can perform experiments individually. Sports: Along with academics the College also pays prior interest towards the health and well-being of its fraternity. The college has got its playground equipped with requisite equipments for both indoor and outdoor games. Library: The computerized storehouse of knowledge has a wide range books and subscribes newspapers and journals. Internet access is also provided to all faculty and students to search for books or research stuff online. Training and Recruitment: The College conducts campus recruitment programs in which top IT companies come to recruit and take its students under their wing. "A bit strict, as well as regular." For M.Sc. their is no CET. U have to individually give exam for each and every college in Pune University. And I opt for this particular college because it has a number of campus recruitment companies. I gave JEE and scored 245 it was the toughest exam in my life. and had to attempt alll the questions in it so it was a really very tough test. There is no need of an entrance test. 12th Board Exams are more than enough. I scored 65%. It is a college of the MIT Institute that is why i chose this college.